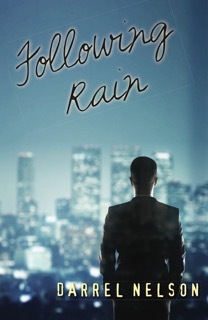 Summary: When Paul Blakely, a successful investigative reporter, visits a Seattle homeless shelter on assignment and meets Rain McKenzie, a mysterious young woman who is living with a painful past, he could never imagine the life-changing experience it will become for both of them. As he uncovers her secret, he makes an important discovery about his own life. And so begins an unexpected journey that will challenge everything they think they know about life and love. If the girl whose friends bullied you unmercifully in high school turned up years later asking for your help, would you give it? 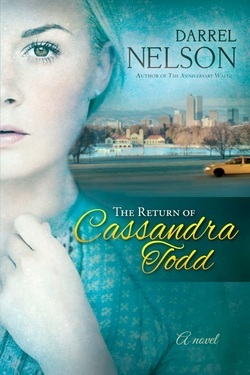 This is the scenario I explore in my new novel, The Return of Cassandra Todd, available in stores on February 5, 2013. Addressing the themes of bullying and spousal abuse, my latest work tells a story that could be from today’s headlines. Summary: When the girl whose friends made his life miserable in high school re-enters his life several years later and asks for help in eluding her abusive husband, Turner Caldwell finds himself thrown into an intense and unexpected struggle beyond anything he could have imagined. This is the basic premise of The Return of Cassandra Todd, a novel of intrigue and suspense, tinged with humor. It is the story of Turner Caldwell, who has worked at various jobs following high school, including camp counselor, where he has learned survival training. He ends up working as a handyman at a local hotel, and it here he meets Cassandra Todd, with her young son, on the run from her abusive and emotionally disturbed husband, bent on revenge, who tracks them down with the help of some hired men. In a desperate yet humorous escape attempt, Turner takes her and her son to a cabin in the mountains. Once again, the husband tracks them down, and it is in this setting that Turner draws upon his survival training skills to face him in a final confrontation. In the end, Turner finds love with Cassandra Todd, the last person in the world he would have expected to become part of his life. 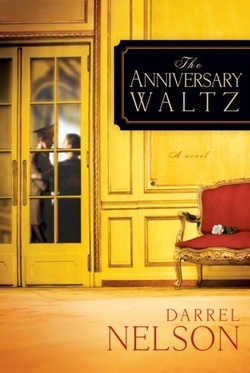 I’m excited to share a little bit about The Anniversary Waltz with you. It is my first novel to be published and that makes it very special to me. I hope you enjoy reading it as much as I enjoyed writing it. Summary: The Anniversary Waltz had its beginnings the day my wife and I took our parents on a drive to a heritage park. En route, our parents began reminiscing about their individual courtships and how friends had planned a shivaree for them on their wedding days. A shivaree was a local custom of friends separating the bride and groom, after the wedding, as a prank, and keeping them apart for a while. They might put the bride in a wheelbarrow and push her up and down Main Street. Or take her to someone’s home and keep her there for a while. All in good fun. On the drive that day, our parents explained that for one reason or another, the shivaree intended for their weddings failed to occur. But my mother-in-law reminded us that on her son’s wedding day, his bride was whisked away in a car by friends and involved in a car accident. Fortunately, no one was hurt. But it got me wondering . . . what if? And so I decided to grasp that thread of an idea—what if?—and see where it led. The Anniversary Waltz is the result. The Anniversary Waltz is a story based on Christianity’s most powerful principle: love. In this case, the love of a young man, Adam, for a young woman, Elizabeth—a young woman who, in a surprise shivaree on the day before her wedding, is involved in a car accident and is somewhat disfigured. Elizabeth falls into a depression because she feels unlovable and is afraid that Adam is standing by her side out of duty. Or worse, pity. And so she refuses to see him and locks herself away in her bedroom. The plan that Adam comes up with to rescue her from herself and convince her that his love is real is truly moving.